When the time comes to redecorate and remodel, the bathroom is often the most challenging room in the house. It offers the most possibilities, both to do over the look and create a haven for your baths, showers and grooming, and also to add value to your house! It’s also the most difficult to get right and comes with the most inbuilt restrictions: your plans are constrained by the practicalities of where and how you can you redirect pipes and wires for water and power. 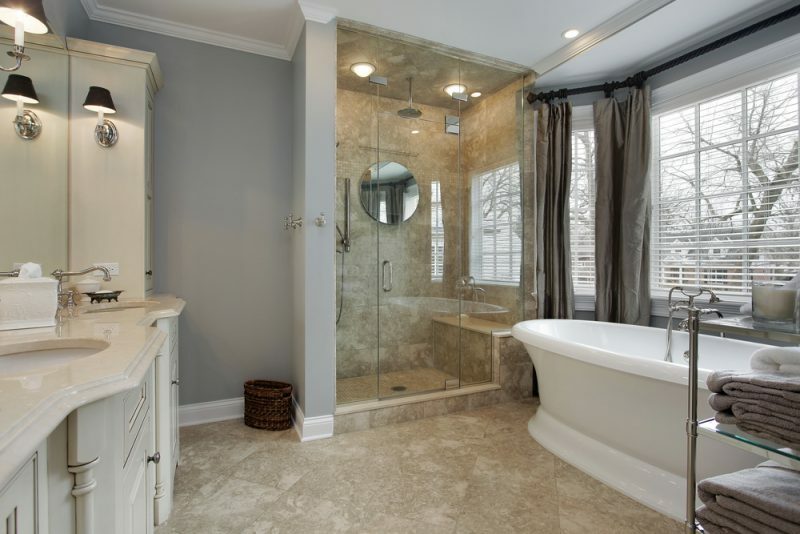 Today we’re offering a few tips on how you can construct your perfect bathroom. Before you start anything, you need to know what you want to achieve. Don’t get into details at this stage, it’s not about the precise execution. It’s about deciding your ultimate objective. If you’re aiming to put value on your property, then your priorities need to be futureproofing, on functionality and on quality. The look isn’t as important. You should avoid actively making your bathroom ugly, but if you’re thinking of buyers or tenants, it’s far important for it to be functional and will remain so for a long time, more so than being filled with beautiful Edwardian Bathroom Accessories. If you don’t see a move in your future and you’re remodelling purely for your own pleasure then that’s your priority. Whether you want to maximise light, or have a specific style or aesthetic in mind, that’s what you’re aiming to achieve. Once you know, in broad terms, what you’re aiming for, try to draw a line under your planning process for the moment. Talk to a builder, a plumber or similar specialist and they’ll be able to give you so more information to work with. If you decide in advance that the only possible place for your bath is on the far side of the room by a large window, you’re setting yourself up for disappointment when it turns out there’s simply no way to plumb one in there. Getting informed first will give you a manageable possibility space to work with, which gives focus to your plans. Similarly, set a budget in advance. If you’re trying to add value to your home, speak to an estate agent or other specialist to work out how much you’re likely to add and make sure you keep your spend well within this limit to reap the eventual benefit. Even if you’re redecorating for your own pleasure, you don’t want to let this project cost you too much! With this preparation done, you’re ready to put your plans into effect and produce your perfect bathroom.